Wexler’s egg creams and chocolate phosphates owe a debt to his paternal grandparents. 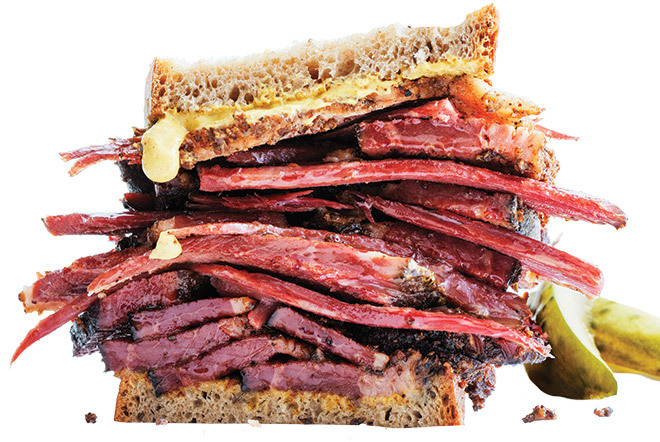 When he was growing up in North Hollywood, they took him to Langer’s in MacArthur Park—the one local deli he reveres. “My grandmother would always order a chocolate phosphate,” Wexler remembers. “She’d point her finger at the waitress and say, ‘Now you make sure there’s plenty of chocolate there.’ It didn’t matter if the whole thing was full of chocolate. She’d say, ‘Uh-uh. This isn’t right. Go put some more chocolate in here.’ ” Although she’s passed, his grandfather is still around at 96, so Wexler had better get the recipe right. Wexler’s Deli at Grand Central Market, 317 S. Broadway, D5, downtown, 213-624-2378. Previous articleCan you Dig it? Yes You Can.